The Exclusive Option Leather Interior Mirror features rich leather wrapped surfaces. Extremely meticulous craftsmanship that is unrivaled in rarity by any other leather option. This complete interior mirror adds a distinctive look to the roof area of your Porsche. 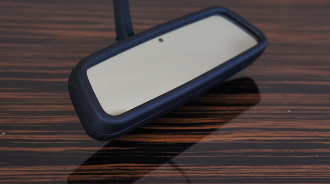 Replacing the hard unfinished plastic part with leather gives your mirror a distinctive and exotic feel, that you’ll appreciate every time you reach to adjust your rear-view mirror to look at the dissapearing scenery behind you.